Advice on buying new office furniture. Where to buy new equipment? Office furniture is not something that can be chosen blindly because it is a factor that is going to determine the productivity of your business. The employees should be happy at desk and the furniture used in the workplace should also be able to help the employees stay healthy and fit. Furniture like desks, chairs, pedestals and storage cupboards should be able to fulfil the requirements of your work. Make sure that the employees get all the required facilities needed so that they can easily render the work in efficient way. If your employees are uncomfortable in the workplace, you cannot expect them to stay back in your company for a longer time. Here are certain office furniture buying tips that can help you in finding out office equipment that can be suitable for your purposes. The first preference, when you are choosing office furniture, is for comfort. It is not a good idea to ignore the comfort by considering the furniture that is available with cheap price. A normal employee in the office uses his chair and a desk for the whole day inside his cabin. It is better for you to consider this factor and choose a chair that can provide full support to legs, arms, neck and back. The chair should be able to get adjusted and also should be flexible in altering the position. Chair should suit all the body type and also the position in which a particular person is working. It is not a good idea to choose the office chairs in uniform size as it may not be suiting the requirements of all the employees. The height of the desks should also be matching with the chair. The chair should also do not because the issues of back pain, neck pain, etc. 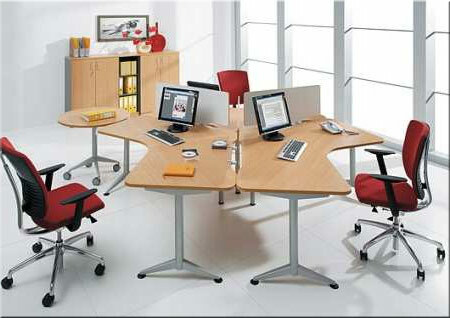 You need to also remember that office furniture can be used for certain time only. Depends on the quality after a few years it can loose its functionality and stop meting required standards. Please read more about office furniture recycling services. The looks of the furniture that you buy is also a factor that can affect the whole environment in the office. If you are having an ambience in the office that is dull, it is going to de-motivate your employees. It is essential to have an environment in the office that can make it look attractive and create a positive energy. The new office space should be decorated in such a way that a positive light glows in the office that can help in generating a positive outlook for the work. Quality and comfort should be given first preference but do not ignore the appearance as a whole as it also has a greater role in encouraging the employees. The furniture that you use in the office is not just for the sake of your employees, but it is something that can help in defining the standard of your business. The prospective clients of yours will have an image about your company based on the way you set the office. Try to make it attractive and efficient so that they can feel that the company is of a good standard. In the case of some advertising agency or some business which has got greater role of creativity, it is good to decorate your office in such a way that you can easily showcase the creativity of your firm so that the prospective clients can feel that it is the right place for them to associate with. If you need some help with finding the right office space please contact our move management team. It is necessary for you to measure the space that is available in the office so that you can buy new office furniture accordingly. Do not purchase such furniture that the employees should squeeze around each other for getting outside and inside the cubicles. 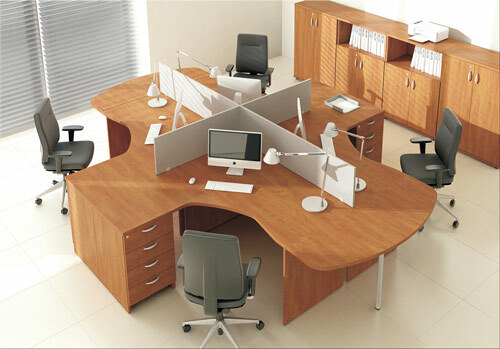 Combination furniture can be an ideal choice of your office space if is much smaller. 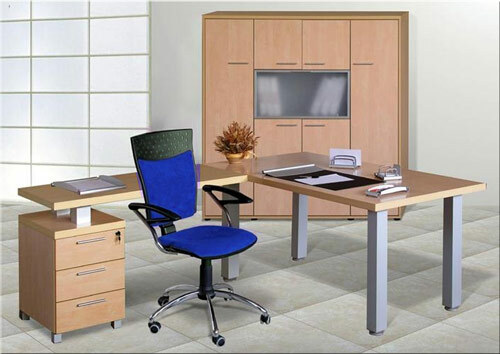 Combination furniture can provide everything in one desk along with the business storage space. These units can be helpful in reducing the utilization of floor space in your office. It can help in making the space utilized in the right way so that your office can have adequate walking space and also can increase the storage capacity inside your office. Buying new office furniture has to be properly planned. Do not buy furniture for your office because they are available in cheap prices. The investment that you are making on the furniture is not a short term one. It is not a good idea to get some furniture of less quality and then in between replace or repair them. These replacements and repairs in between can incur more cost than what you need to pay for quality furniture. If you are planning to buy new furniture we can help you with furniture removals. It is always good to get furniture from the reputed manufacturers who provide guarantee or warranty for the products. It is not something good to have your new furniture get broken in the first month itself. Make sure that the investment that you are making is worthy, and the furniture can last for a longer period. You should better check the quality of furniture in person, and it is not a good idea to order just by seeing the catalogue. Get free advice on buying new office furniture. Where to buy new equipment and things to take into consideration. What to look for when buying new office furniture. Useful tips on how to buy new office desk, chairs and bookcases.